Wildfires in the hills and canyons of Los Angeles, radio ghosts, the road, redemption, Elvis, the moon, Robert Johnson, small town New England life and of course love and all its entanglements. These are the themes one can expect from this well traveled, seasoned songwriter and his prolific song writing partner, lyricist George Wardwell. “He's simply one of the finest singer-songwriter-musicians, walking this planet today. After ten years of touring and three independently released recordings the legendary Ahmet Ertegun, Chairman of Atlantic Records, signed Devonsquare after hearing Tom's song "Walking On Ice" from the self released CD of the same name. Devonsquare went on to record another CD "Bye Bye Route 66" for Atlantic (which spawned the critically acclaimed single "If You Could See Me Now") tour internationally and to share stages with the likes of Bonnie Raitt, Peter Frampton and Steven Stills. Complete list of artists here. "Dean shows us a side of his talent that isn't always evident in his work with Devonsquare. Overall this is a strong album by a seasoned songwriter." 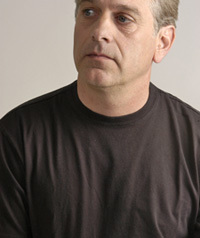 His first solo release "Your Own Backyard" in 1999 brought much deserved respect for his songwriting, singing and production skills. With the release of CD "Pennies" in 2004 Tom once again teamed up with lyricist George Wardwell to produce ten stunning songs rich in melody and lyric. The musicians on this project are the cream of the crop of NYC's finest: Shawn Pelton on drums ( Shawn Colvin, Saturday Night Live Band) Michael Visceglia on bass (Suzanne Vega) and some of the Northeast's most respected: Kevin Barry on guitar (Paula Cole) Don Campbell (banjo & vocals) Joyce Andersen (violin & vocals) Tom Yoder (violin & mandolin). In 2010 Tom & Rex Fowler (Aztec Two Step) along with several prominent NYC studio musicians have teamed up in a labor of love to celebrate the genius and artistry of John Lennon. 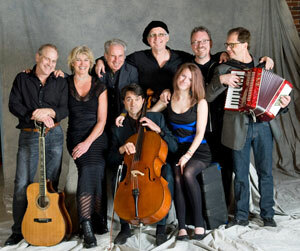 The Nutopians is a unique and compelling 8-piece ensemble that celebrates the genius and artistry of John Lennon. Created and led by Rex Fowler of Aztec Two-Step and Tom Dean of Devonsquare, the ensemble gives remarkably fresh treatments to Lennon’s best and least known Beatles and solo song compositions that often inspire a whole new appreciation for the icon’s music. Rex Fowler and Tom Dean's "Imagined" CD has won the Independent Music Awards Vox Pop Poll. Thank you to all who voted for us. ....Pop culture may come and go like the weather but great songs and great singers will always be remembered. Tom Dean writes great songs and performs them like no one else can. Simply terrific new CD. I love the title song, too. "Fab!"